One of five players to be handed a yellow card on the night, Neymar will now miss next week’s return leg at the Camp Nou as it is his fifth card of the tournament. Gabi and Lucas Hernandez for Atletico and Samuel Umtiti and Jordi Alba for Barcelona were the other players carded on the night. 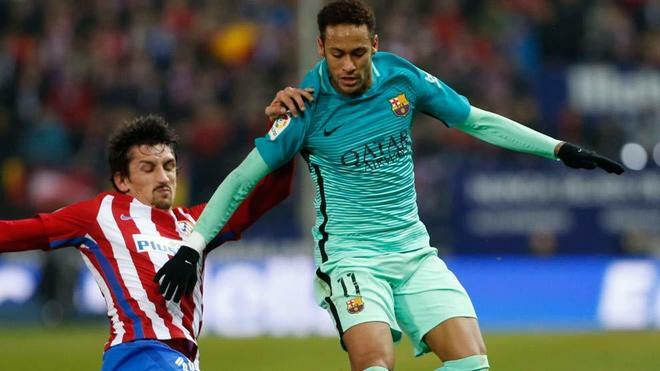 Neymar argued the official’s decision, but referee De Burgos Bengoetxea didn’t have any doubts, after the Brazilian jumped and elbowed Juanfran during a 50/50 header.